Introducing Italy's best kept secret. the cuisine of the Veneto.Food-writer, cook and photographer Valeria Necchio shares the food and flavours at the heart of the Veneto region in North Eastern Italy. 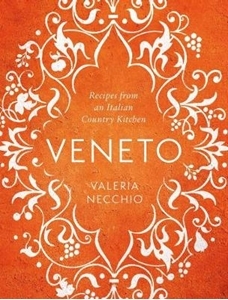 Veneto includes lovingly written recipes that capture the spirit of this beautiful and often unexplored region, and Valeria's memories of the people and places that make the Veneto so special.Packed with fresh ingredients and lively flavours, the recipes range from the dramatic black cuttlefish stew, through soups, pastas and risottos, a mouthwatering selection of Italian sweet treats, and sweet and savoury preserves for your pantry to ensure year-round deliciousness.